Spring break in Cleveland got me thinking about my mom who passed away a few years ago. I owe my love for Shakespeare and the arts in general to her! So here’s a manual for how to create an arts lover without really trying. Well, maybe not a How To manual, but it worked for me! I mentioned in my About Me that my mom took me to plays often. I’m sure she had no “plan” other than to go herself and I was a handy and willing companion. The effect of frequent theater-going for me was that it became a habit. I am not a picky theater-goer. I tend toward cheap and convenient community theater over big blockbuster shows. But when time and money have been available, I’ve subscribed to theater series and attended regularly throughout my adult life. I don’t have a lot of specific memories of the shows my mom took me to. It was long ago, and I was a pre-teen/teen… not the best age for paying a lot of attention. But I know I loved going and it left a big impression. The Great Lakes Shakespeare Festival performed professional productions at the Lakewood Civic Auditorium, located at Lakewood High School, a couple miles from our home on the West Side of Cleveland. Vincent Dowling came from the Abbey Theatre in Dublin to be GLSF’s Artistic Director in 1976. I think his arrival in town spurred my mom to attend theater (I’m thinking she didn’t get out a lot while she was raising 6 kids). I would have been 10 or 11 years old, just old enough to be able to sit through a play. Dowling stayed at GLSF from 1976 through 1984, and I left Cleveland before the 1985 season started, so my theater attendance with my mom coincided with Dowling’s leadership of GLSF. 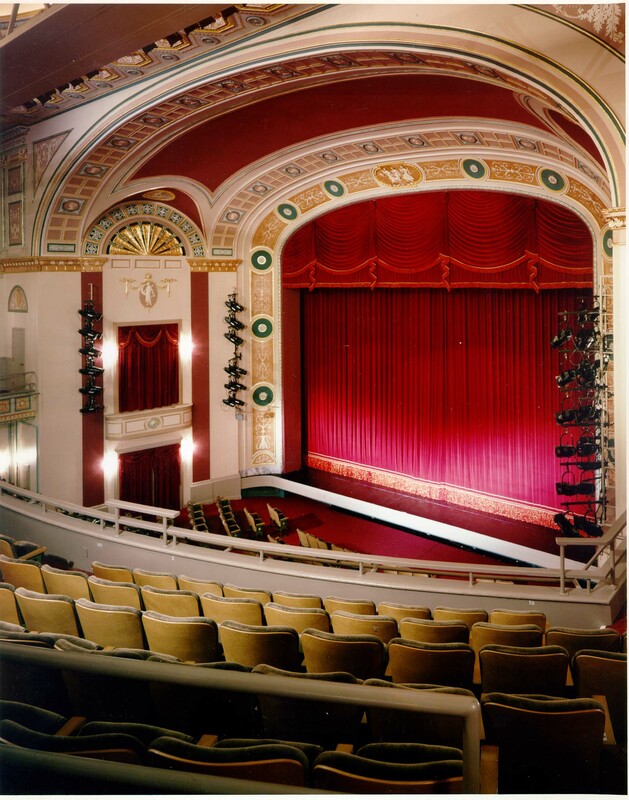 The GLSF moved from Lakewood to Downtown Cleveland’s newly-renovated Ohio Theatre in the early 1980s. We were very excited about the renovated Playhouse Square and attended shows and ballets at all the beautiful theaters there. I think my mom subscribed to all of the GLSF productions most seasons. Unfortunately, she’s not around to ask anymore, but I’m pretty sure we went to about everything GLSF put on from 1976-1984. 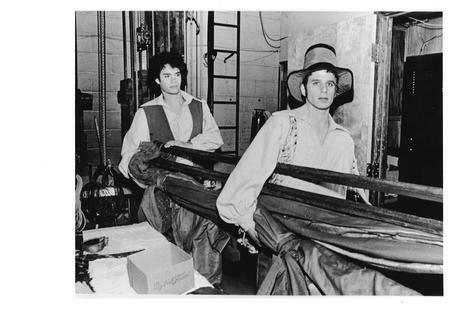 A big thanks to Todd Krispinsky, Marketing and Public Relations Director for Cleveland’s Great Lakes Theater Festival (formerly Great Lakes Shakespeare Festival) who pulled the following info out of the archives about GLSF’s productions back in the 70s and 80s. I put the Shakespeare productions in bold. Wilder, Thorton Alcestis and Apollo Bihr, Jeff + V.D. Manners, J. Hartley Peg O’My Heart Bruce, John + V.D. So, how to create an arts lover without really trying? Take a kid out to theater on a regular basis. If you go to a show once every couple months, it’s really not that often, but look how it adds up over time! We saw a lot of shows! It was during his years studying theater that Hanks met Vincent Dowling, head of the Great Lakes Theater Festival in Cleveland, Ohio. At Dowling’s suggestion, Hanks became an intern at the Festival, which stretched into a three-year experience that covered everything from lighting to set design to stage management. Such a commitment required that Hanks drop out of college, but with that under his belt, a future in acting was in the cards. 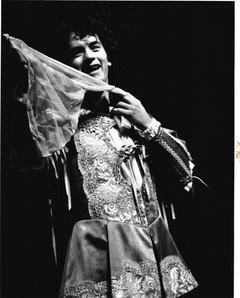 Hanks won the Cleveland Critics Circle Award for Best Actor for his performance as Proteus in Shakespeare’s The Two Gentlemen of Verona, one of the few times he played a villain. I think I probably saw all the plays Tom Hanks performed in for GLSF. We also enjoyed Colm Meaney early in his career. He was married to Vincent Dowling’s daughter Bairbre, and they sometimes performed together. So, take your kids out to the theater. It is habit-forming, and who knows… you might create a lifelong theater lover! Yes, we hempen homespuns in the new world have a thing or two to learn! That’s wonderful. I had a few early and strong experiences with theater and music, but nothing as regular as that. Still, they did make quite an impression on me, as I imagine that habit did for you. Thanks. You know, I never appreciated the impact until I was much older… maybe in my mid-30s. I think I was semi-embarrassed about going at the time. I doubt if I told any of my friends! We just quietly had our theater nights AND the other thing she did was take me to little hole-in-the-wall ethnic restaurants! We’d go out to eat together on our theater nights and she was not afraid to try little places in dumpy neighborhoods. That’s another habit that has stayed with me! Think you might be missing a play in the 1976 season. I’ll check. I was a volunteer there through the mid 70’s, and have some of the playbills and programs. The Devil’s Disciple was absolutely brilliant. I moved out of Lakewood in 1977, and was sorry to hear they’d moved downtown. It was a simply phenomenal opportunity to see live theater.